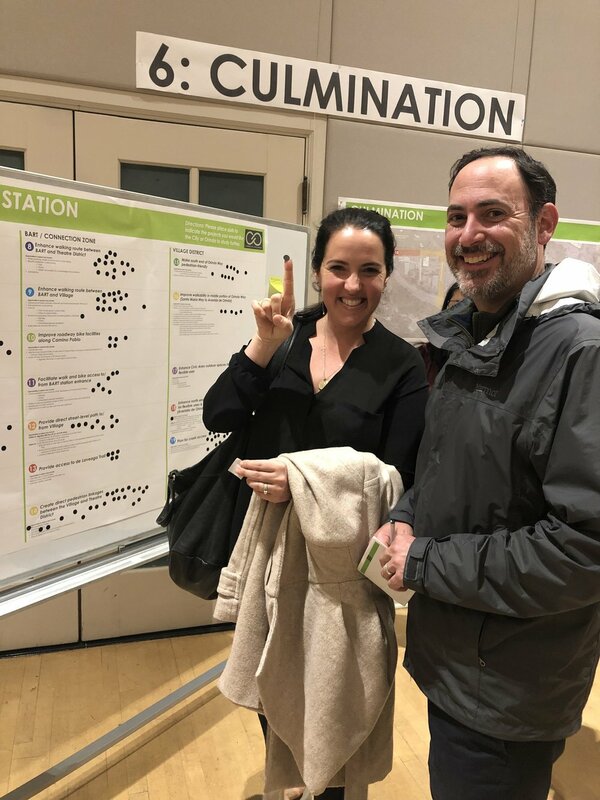 Last Tuesday night, roughly 150 enthusiastic Orindans showed up for a ConnectOrinda community workshop to weigh in on 19 potential Downtown projects in consideration. The event was full of positive energy and excitement for many of these concepts. Knowing many would not be able to attend, the planning team has created an online portal for you to read up and weigh in. Please take a few minutes to click here, browse and "Like" your favorite projects. Note there are two tabs - projects and infrastructure. The ConnectOrinda team is requesting as much community feedback as possible before next Friday, Feb 15th at 5:00 PM. You can also read the more detailed staff report or view the physical boards from the event at the Community Center outside the founder's auditorium. Questions can also be directed to Adam Foster at afoster@cityoforinda.org or call 925-726-1749. After the votes are tallied, the ConnectOrinda team will compile the data to present back to city council on March 5th. 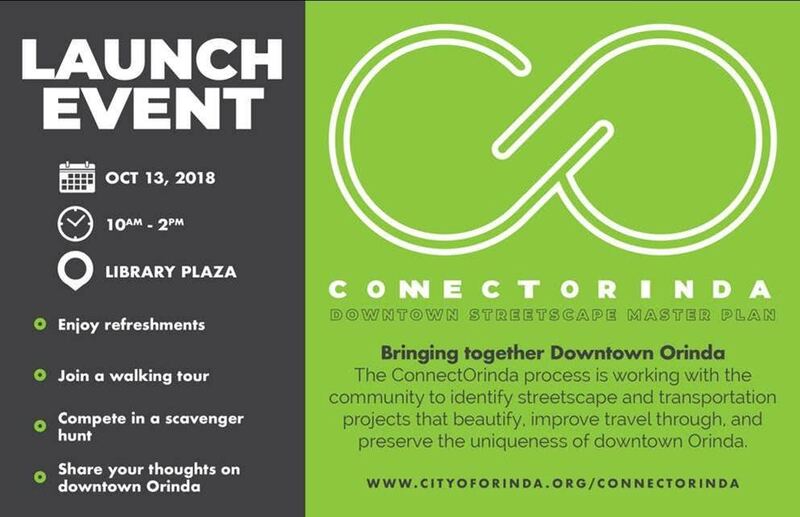 Tomorrow night Orinda' City Council will hold a special workshop for interested parties to weigh in on the plans for “ConnectOrinda” - the City’s current initiative to improve our downtown areas. Care about the creek? Want more bike paths? Curious about signage improvements or how we can make Orinda more walkable? Please show up to listen, learn and provide feedback on various projects. See you there! Post-Election Update: WUDO’s picks for city council won by a wide margin! Congrats to Amy, Nick and Dennis. We look forward to working with you to make Orinda better for future generations! We are off to the races! The race for Orinda City Council that is. The deadline is tomorrow for Orinda to cast its votes for three candidates to fill three seats for the next three years. Yes three is the magic number. As a reminder, WUDO is endorsing three candidates for City Council: Dennis Fay, Nick Kosla and incumbent, Amy Worth. We believe each of these candidates has the combination of experience and motivation to get our downtown moving in the right direction. If you choose to read no further, please get out there and VOTE for Dennis, Nick and Amy. Here at WUDO, it’s obvious that we’ve been following this race closely. Heck, we’ve been following every step of the downtown conversation closely…for years. We’ve dedicated hundreds of hours to gathering information, studying the facts, learning the history, speaking to business owners, building owners and the city, organizing events and most importantly attending city council meetings to try to move things along. Throughout this process, we have concluded that incumbent candidate Eve Phillips is not a candidate who will move downtown forward. Although her PR message is “pro downtown” Phillips has clearly demonstrated the opposite position, time and again, vote after vote. Back in July 2015, Phillips voted against even starting the conversation about downtown revitalization (Orinda City Council Meeting held July 21st, 2015). In 2016, Phillips voted against bringing in thought leaders from outside agencies. And earlier this year, Phillips voted against a plan to improve downtown Orinda’s streetscape. The list goes on and on. Again and again at council meeting after council meeting, Phillips is predictably a “no” on nearly every downtown related issue. Please, if you are on the fence at the polls tomorrow, don’t let campaign rhetoric fool you. Eve Phillips is demonstrably not in favor of progress for Orinda’s downtown. Nick Kosla, Dennis Fay and Amy Worth are qualified and ready to move forward. Please spread the word and vote Dennis, Nick and Amy for City Council. They are our ticket to a better downtown. Wouldn’t it be lovely if the walk from the Village side of downtown to the Theater side were seamless and pleasant? What if our sidewalks were widened, or the maze of parking spaces near Rite Aid were organized? What if the creek were unearthed and along side it there were a pleasant walking path? So many good ideas float around, and hopefully some will be put into action soon via the Orinda Streetscape Master Plan. The city planning department is kicking off the Streetscape effort on Saturday, October 13th with a community event from 10 AM - 2 PM. Take a walking tour and share your ideas, compete in a scavenger hunt, and get in on the planning. It’s happening at Library Plaza and we hope to see you there! Learn more at http://www.cityoforinda.org/connectorinda. Its no secret that we at What's Up Downtown Orinda are fans of food trucks. Who doesn't welcome the opportunity to get out of the house on Thursday evening and gather with friends and family for a little food and fun ... all conveniently located in our very own downtown. Bonus: we don't have to do the cooking. Since last Summer, we have been enjoying Orinda's Taste of the World Thursday Night Street Feast. Our sense is that many of you have been, too. Did you know that next Monday, May 14th at 7pm the City Council will be looking into making the weekly Thursday night food truck pilot program a permanent fixture on Orinda's event calendar? After engaging in a formal RFP process, the council will be reviewing a proposal from Taste of the World Market and discussing what shape this event will take going forward. We would love to know how you feel about the Thursday Night Street Feast. Do you love it and want to see the event continue? Can it be improved? Haven't been yet? Well, why not? Want to see more events like it? Please send your feedback to City Clerk Sheri Smith at ssmith@cityoforinda.org, or better yet, come to the City Council Meeting on Monday, May 14th at 7pm and be a part of the process. Did you receive your vote by mail ballot for the June 5th primary election? We love voting at the kitchen table, or anywhere else for that matter. Among the many items on the ballot, we are excited to cast our vote for two in particular. For those of you who are fans of Orinda's Public Library, please be sure to vote YES on Measure J. This measure provides critical funding to our city's beloved Library. Money will go towards library service hours; utilities, maintenance, repair of the library building and its systems and equipment; replacement of worn and outdated books and materials; and library programs for children, families and seniors. To read more about this measure, please click through. For a good read, check out Bauer-Kahan's personal and professional background. Inspiring to say the least. What's Up This Holiday Season, Our Second Installment! The merriment continues! Get your calendars out, you won’t want to miss what’s happening this coming week in Orinda. Orinda Ballet Academy & Company celebrates their 9th season presenting “A Sweet Dream Nutcracker”. Local group Mindful Littles has two events coming up that can help your family shift the focus of the season to giving. December 14th at 4pm in the Orinda Library Garden Room. Just for Teens: Make holiday gift bags, boxes and tags with artist Valerie Adinolfi. All materials provided. For grades 6-12. No registration required. Toys, Tunes and Trains Oh My! Saturday December 9th, 6-8pm at Theatre Square. Toys come to life! Come meet all of your favorite characters. Other holiday activities as well for the entire family to enjoy. Tuesday December 12th at 5pm in the Orinda Library. Enjoy holiday music with Mary Fuller on Viola. Thursday December 14th at 7pm at the Orinda Theatre. Free movie screening of the holiday classic The Polar Express!